Shabaab, al Qaeda’s branch in East Africa, has released a two–page statement on yesterday’s attack on a hotel complex in Nairobi, Kenya. The message was accompanied by an English translation. Shabaab is eager to frame the assault as part of a larger, global struggle, but it also makes its animosity for the Kenyan government known. Addressing Palestinians, Shabaab quotes Osama bin Laden. “By Allah we will support you even if we have to come crawling on our knees” and “we will not forsake you until victory is achieved or we taste what Hamza ibn Abdul Muttalib (May Allah be pleased with him) tasted,” the al Qaeda founder said. 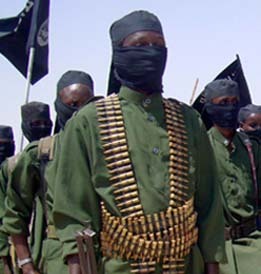 Shabaab’s fealty to al Qaeda’s senior leadership is hardly surprising. The group regularly advertises its role in al Qaeda’s global network. In addition to the jihadists’ general opposition to Israel, the name of the operation is also intended to seize upon President Trump’s decision to recognize Jerusalem as the capital of Israel. 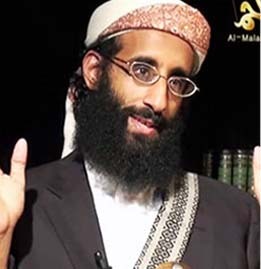 Indeed, Shabaab claims Trump’s decision was “an attempt to confer legitimacy upon the illegitimate Zionist regime.” Trump and “his cohorts granted the Zionist Jews the approval to desecrate the sanctity of one of Islam’s holiest sites with their filth and vile policies of ethnic cleansing,” the al Qaeda arm’s men write. 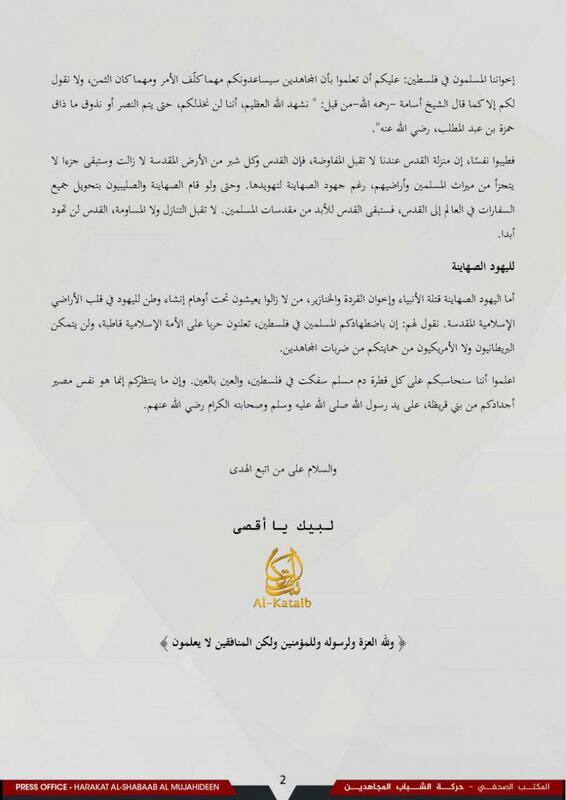 Shabaab says that its “Saleh Ali Saleh Nabhan Battalion” (or Brigade) was responsible for the assault. That same unit, which is named after an al Qaeda veteran who was killed in 2009, has conducted numerous high-profile operations in the past, including the July 2010 bombings in Kampala, Uganda and the Jan. 15, 2016 raid on an AMISOM base in El Adde, among others. Nabhan, who swore allegiance to al Qaeda’s senior leadership on behalf of Shabaab in 2008, was long wanted by the US for his role in the 1998 US Embassy bombings, as well as attacks in Mombasa, Kenya in 2002. 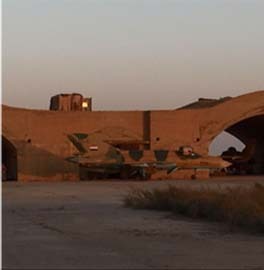 The latter operations targeted an Israeli-owned hotel and airliner. More than 16 years later, Nabhan’s ideological heirs continue to agitate against both the US and Israel. However, Shabaab has other reasons for striking in Kenya as well. Namely, the jihadists have repeatedly targeted the Kenyan military and interests as part of the multi-sided war in Somalia. 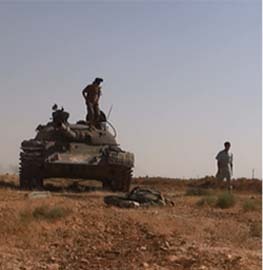 The al Qaeda arm claims that “50 disbelievers, including American and other western nationals” were killed. But other reporting indicates that the death toll is lower, with at least 21 people perishing in the complex assault, which involved a suicide bomber and gunmen. Shabaab’s Shahada “News” Agency also released a “special report” on the assault earlier today. That report was quickly reproduced in English by the Global Islamic Media Front (GIMF), which regularly translates media produced by al Qaeda and its branches. Shahada “News” trumpets the fact that Westerners frequent the hotel and are among the dead. One American, identified in published reports as Jason Spindler, has been confirmed killed. There are several other noteworthy aspects of the report, which includes multiple references to articles produced by the Western media. 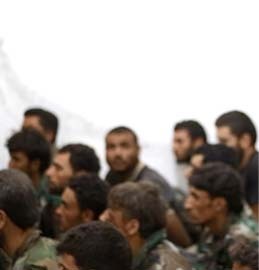 First, Shahada News reproduces the image below, claiming that the assailants were “wearing military uniforms.” It does appear they were some sort of official-looking garb. 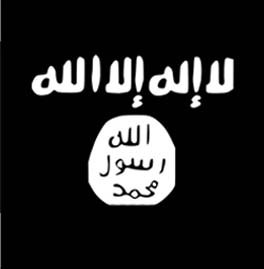 Separately, jihadi Telegram channels disseminated a picture of the man who wore this bandana. That image shows his face and dead corpse. 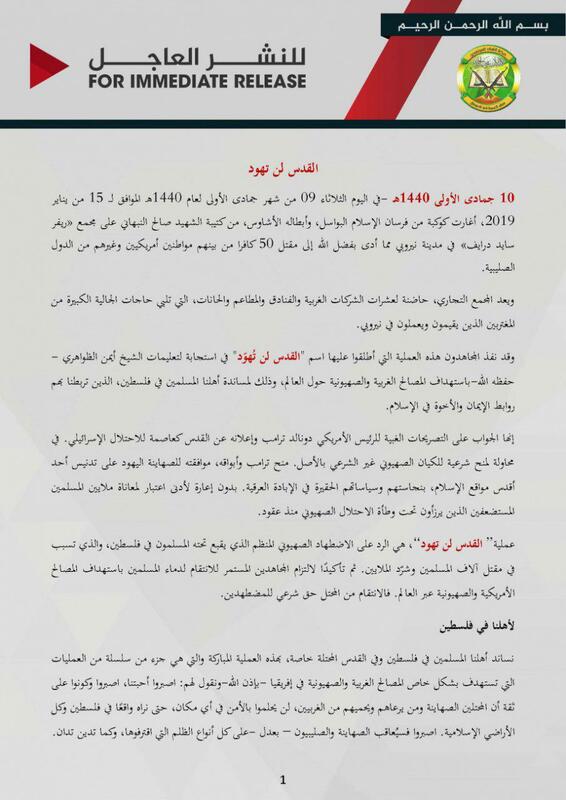 Third, although Shabaab ties the raid to Israeli-Palestinian issues, the report by Shahada News makes it clear that the al Qaeda arm has other reasons for striking inside Kenya. Shahada’s writers point to the ongoing “guerrilla war” in Somalia, saying Shabaab “will not stop targeting Kenyans until the Kenyan government withdraws its troops” from the country. In other words, Shabaab wants to know if Kenya will withdraw its fighters from Somalia in response to the mass murder in Nairobi. Shahada points to the Sept. 2013 siege at the Westgate mall in Nairobi, as well as the Apr. 2015 mass murder at Garissa University as examples of the toll Kenya has paid. The Shabaab media arm claims that the jihadists’ latest operation in Nairobi is a “simulation” (or reenactment) of the slaughter at Westgate, thereby demonstrating the Kenyan government’s security failures. 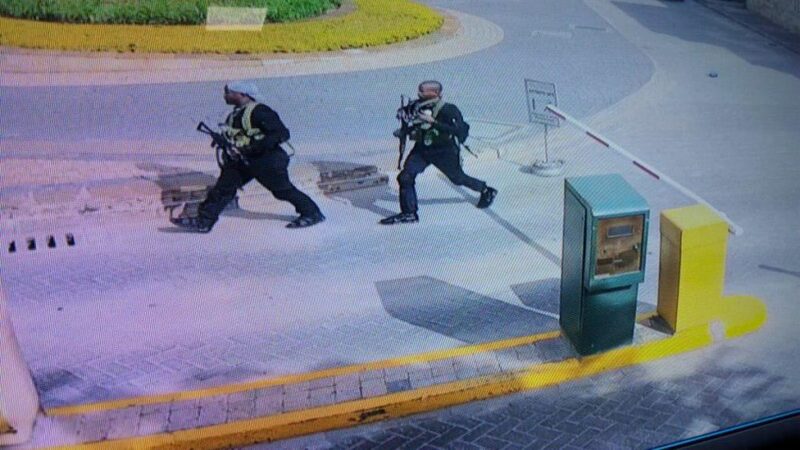 Shabaab has again struck “near Westgate at an unexpected place and time,” Shahada News reports, despite assurances from Kenyan government officials. The Kenyan government and US have taken steps to crack down on Shabaab’s network inside the country. But the jihadists are persistent and managed to successfully kill civilians in the heart of Kenya once again. *This sentence was updated after publication for clarity.